Five faced Rudraksha or Paanch Mukhi Rudraksha has five natural lining on its face. This bead is generally found in oval or round shape. Jupiter, in Hindu Astrology is known as Guru or the big one endowed best qualities. Positive Jupiter gives everything to a person in life like knowledge, intelligence, education, power, wealth and peace of mind. The ruling planet of Paanch Mukhi Rudraksha or Five Faced Rudraksha is Jupiter. If Jupiter is weak by virtue of placement in the horoscope, this bead helps in removing all the negative effects of the same. 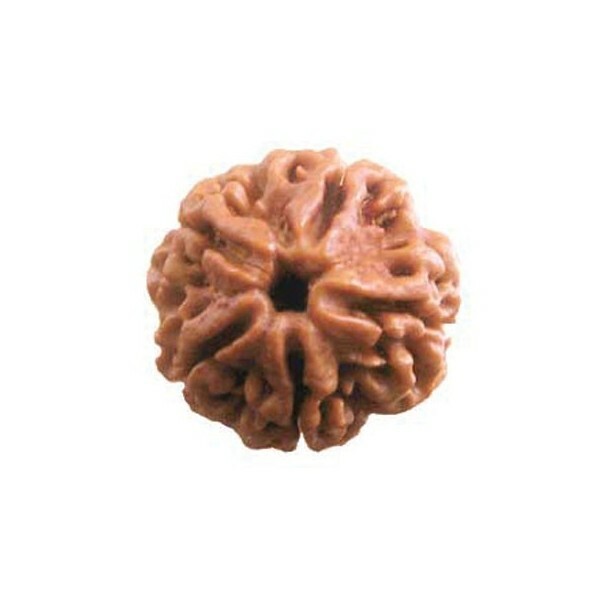 The deity of this Rudraksha is Kaalagni, a form of Rudra. Five Faced Rudraksha also controls five elements found in the body of a person. Including Agni (fire), Vaayu (air), Jal (water), Aakash (sky) and Prithvi (earth). This rosary of this bead brings peace of mind. It is believed that the wearer of Five faced Rudraksha escapes untimely death. He gets happiness, wealth and prosperity. The rosary of this bead is considered very auspicious and is commonly used in Japa or meditation also. This bead protects a person against various diseases including obesity, heart ailments, diabetes, eyesight problems and piles etc. It has been observed that if three beads of Five Faced Rudraksha are dipped in water overnight in a glass or silver vessel and this water is drunk early in the morning on empty stomach, the person gets relief from high blood pressure.